It’s happening again. This Sunday, November 2. The show I’ve been producing for longer than I was a teenager. 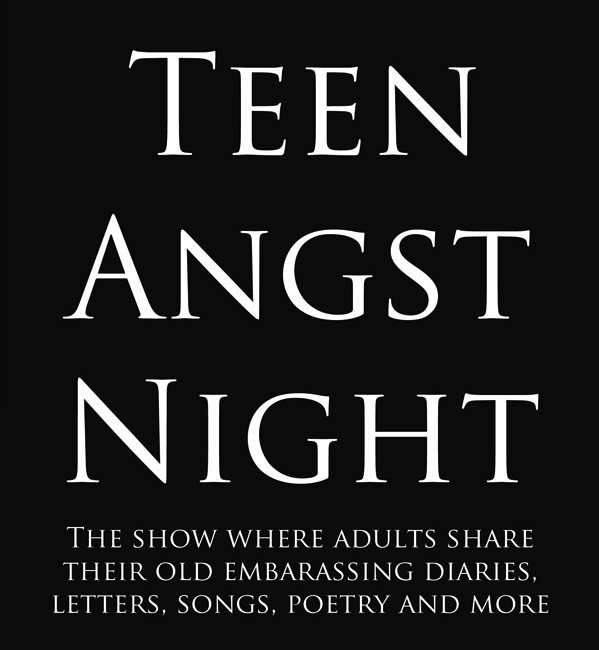 Teen Angst Night is comedic reading series where everyday people read from their embarrassing old journals, poems, songs, essays (and more). This show is full for readers but if you want to get on my list/ roster just message me.